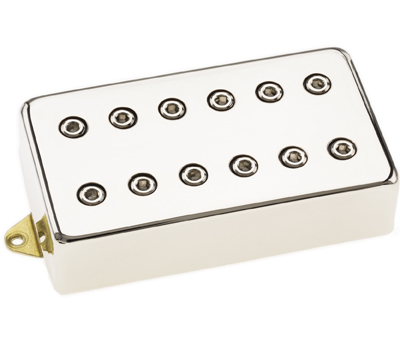 An article on the DiMarzio FRED humbucker is way overdue. My bad. Buying the new Joe Satriani humbucker, the Satchur8, I’m guessing the gentle readers will want a lot of reference. Never to disappoint, here we go. The FRED has been going strong for 28 years now. As it needs to be. It’s a great pickup. 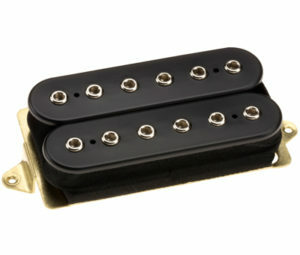 According to DiMarzio, the FRED originated as a twist on the EQ of the PAF Pro. I like the PAF Pro. 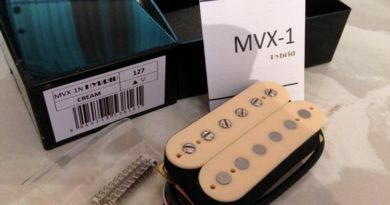 It’s another one in a very long line of cool pickups from DiMarzio. 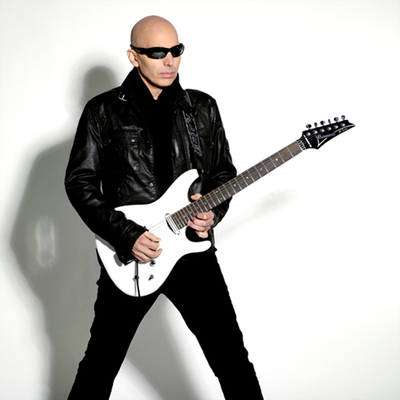 Imagine a tweak to it that makes the FRED the bridge humbucker of choice in Satriani’s signature Ibanez guitars for about 18 years. For this evaluation, the FRED is in a double hum super strat with a Floyd Rose 1984 trem system. For grins, I install a PAF Joe in the neck. Both are wired to their own push/pull pots for series/parallel operation. Pots are Bourns, 3-way toggle and output jack are Switchcraft. 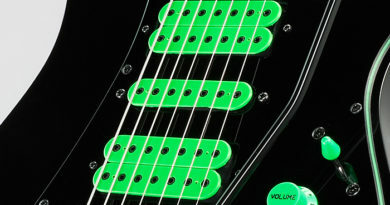 I dig that DiMarzio adds the wrench to adjust the pole pieces. Probably the most significant characteristic of the FRED is the voice. To me, it deftly walks the line between an open-sounding classic feel and a more focused shred vibe. Hit your big open chords and you get a nice full-sounding range of tone. Start driving away on some heavy riffing and you get a focused response. 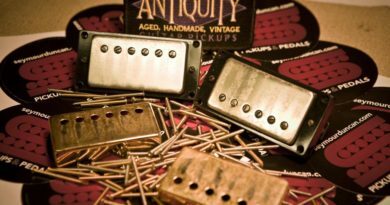 The 12 adjustable pole pieces are almost a hallmark of DiMarzio humbuckers. And that’s nifty, as it makes for an awesome range of fine tuning options for a pickup like the FRED. One of the options I like to throw in the mix is to align along the string radius. See what works for you and dance along with the groove. You saw the mention of the PAF Joe, and I conjure you’re wondering about the pairing. You can bet they make a solid set. A nice balance in all positions, from firm lows to present highs. Switching between positions opens up a natural transition that has the gift of not drawing ‘that kind’ of attention to itself. If you’ve been there, and I think you have, you know what I mean. Something cool is that I’ve had the FRED for a few years now. I’ve been revisiting it specifically for this article at a fortuitous time, as Celestion had just sent me their full range of IRs to check out in the Fractal Axe-Fx II XL+. In addition to my real cabs, I’m able to run the FRED through a ton of rockin’ fun options and there is seriously not a situation where the FRED didn’t kick it. Looking at the specs, let’s put the FRED next to the PAF Pro for a bit of reference. The FRED is a great option to cover a range of rock tones. It brings more to the table than you expect from a pickup in the “medium” output category. For reference, this FRED humbucker evaluation was conducted with a Fractal Axe-Fx II XL+ featuring Celestion IRs. Real cabs used are a Peavey 6505 cab and a Marshall 1960B cab currently using 12″ Peavey Sheffield 1200s, 12″ Celestion G12-65s and 12″ Celestion G12T-75s.